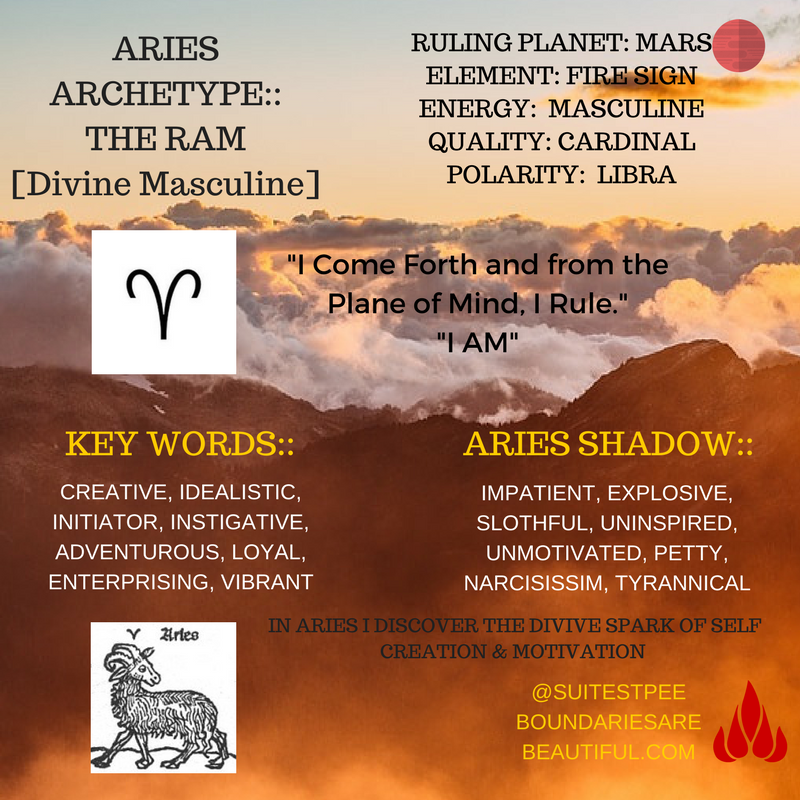 BOUNDARIES ARE BEAUTIFUL | WHO IS ARIES? EXPLORE THE ARCHETYPE OF THE RAM WITHIN! 19 Sep WHO IS ARIES? EXPLORE THE ARCHETYPE OF THE RAM WITHIN! LEARN MORE ABOUT ARIES WITH ME! FIRE SIGN :: WHAT IS A FIRE SIGN? MASCULINE ENERGY :: WHAT IS MASCULINE ENERGY IN ASTROLOGY? CARDINAL SIGN :: WHAT IS A CARDINAL SIGN? Aries is called the Light of Life Itself. The secret of Aries is the secret of beginnings, of cycles and of emerging opportunity. It is a sign of commencement. 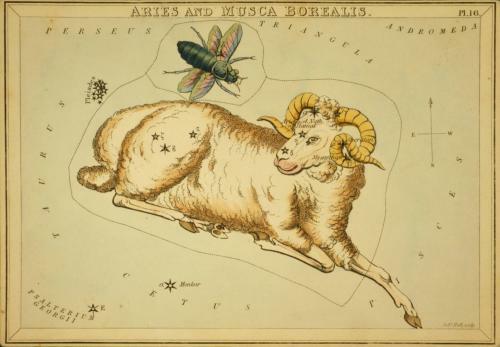 Symbolized by the Ram, Aries is the first sign of the zodiac and begins the cycle around the great wheel. This is the constellation used to stream the first ray of Will or Power to our planet. This sign is connected to the vibratory activity of the soul under impulse from the monad, and as such, is the sign the initial idea to initiate activity takes form, initiating the cycle of manifestation. All souls enter into human incarnation for the first time in the sign of Cancer, having emerged as mental entities in Aries, as emotional-desire entities in Taurus and as vital entities in Gemini, then taking a physical form in Cancer. 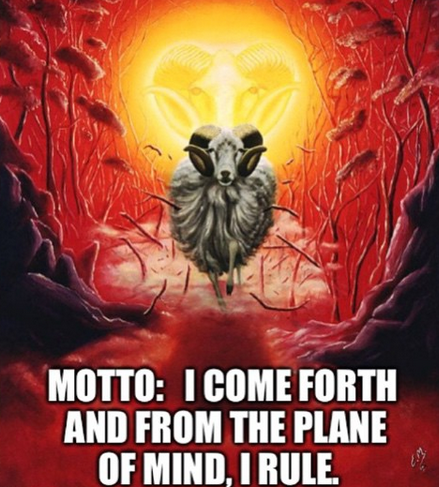 A powerful mental sign, Aries is a sign of beginnings ~ the beginning of the creative process, the first step of the soul towards incarnation, the beginning of cycles of experience, the beginning of the cycle when the soul enters upon spiritual regeneration and initiation. 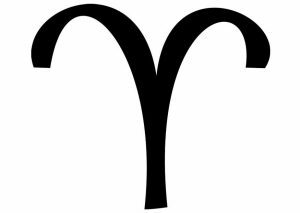 Aries is one of four signs in the zodiac which are signs of birth. It is also considered a sign of consummation and one of three death signs. 1. Express the will to be and do. 2. Unfold the power to manifest. 3. Enter into battle for the Lord. 4. Arrive at unity through effort. It is said that another keynote of the sign Aries is hope. As the spiritual new year begins at the spring equinox, Aries is typically associated with new beginnings. This seems appropriate with the cycle of the seasons beginning with a fresh sprouting of new vegetation each spring. The Aries archetype can be used as a powerful means of breaking from the past and initiating new activities in our spiritual quest. 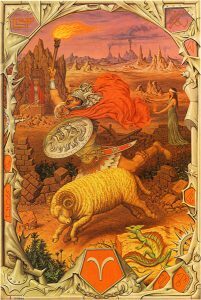 As a fire Sign, Aries natural tendencies include being fiery and willful, courageous and daring, ambitious, inspirational, pioneering and initiating. This normally becomes expressed as excitement, drive, urge to be first, decisive and impulsive. Aries being the first sign in the zodiac, it’s fire tends to be released as fearless on the outside, timid on the inside. There’s a strong sense of discovery and impatience to experience the world. There is a strong desire to press forward, pushing onward against all obstacles with a directing, controlling urge for expression. Aries at the spiritual level is associated with the first Ray of Will or Power. 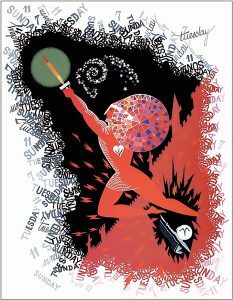 Having individualized our spiritual identity, this power becomes our “conscious personification of the Will-to-Good.” Everyone, not only first Ray types, internalizes an aspect of spiritual Will in living a heroic life. This heroic life is not just about being an adventurer, but about bringing spiritual impulses into concrete form. From a “birthplace of divine ideas,” we bring the life of our internal God (i.e. Monad, God Within) into outer activity. In this way our “transcendent and immanent Presence of Spirit” fulfills, through the personality, the essence of the Aries archetype: I Rule. “Developing your feeling takes time, especially if it has been systematically discouraged in you. 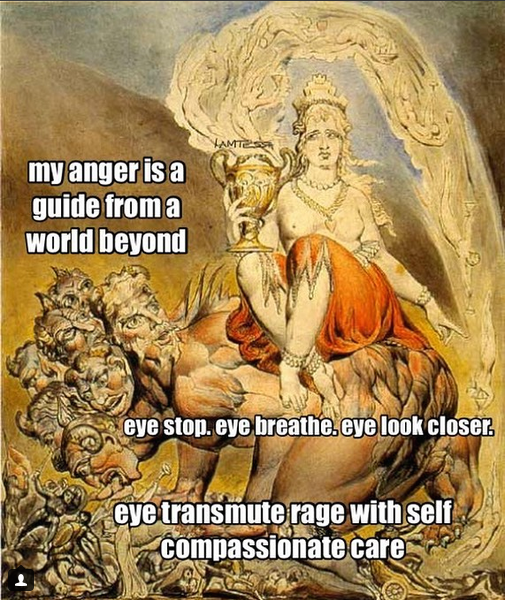 There may be an initial layer of numbness or anger you have to move through and, beyond that, a backlog of grief. But as you make the seemingly bottomless descent, it helps to remember that grief is the downpour your soul has been thirsting for. Like rain, the more excellently and prodigiously you grieve, the more growth and fertility you can expect. There is a future beyond the spiritual aridity and meaninglessness of our time, teeming with life. ©Tessa Ridley/Self Care is Sacred. All Rights Reserved. 2015-2018.